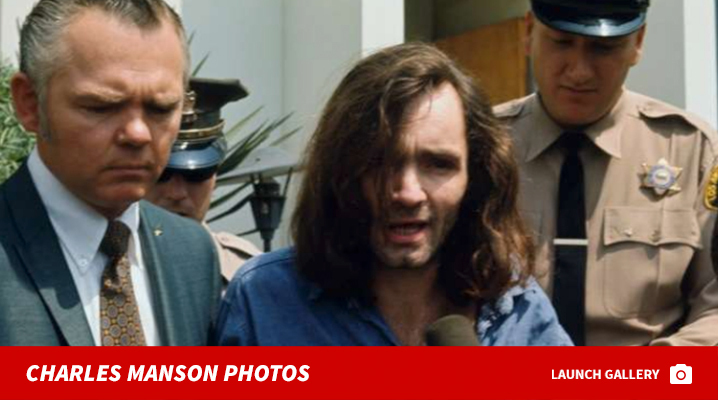 Charles Manson's s**t-eating grin is going to Vegas, baby ... and will be on full display at the Haunted Museum in Las Vegas. 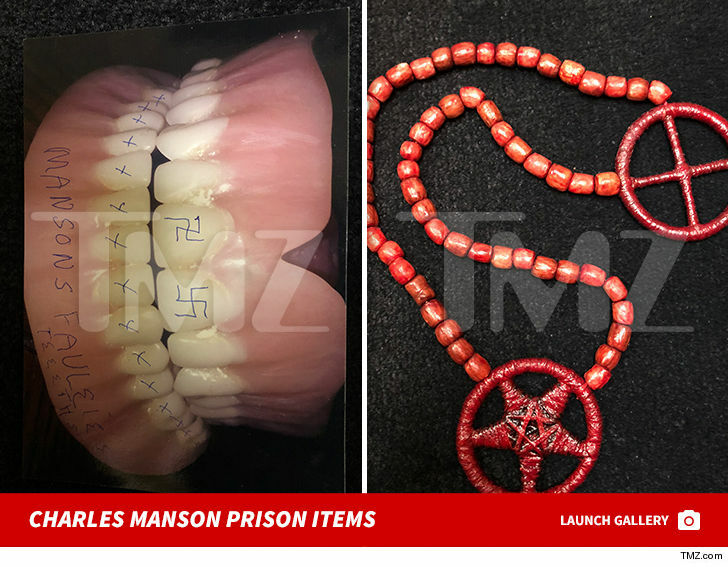 Zak Bagans, star of the Travel Channel's “Ghost Adventures,” bought a bunch of Manson’s personal items after the notorious murderer died, including a set of Manson's dentures. Zak believes the chompers are the real deal because the seller was a close friend and pen pal of Manson's. 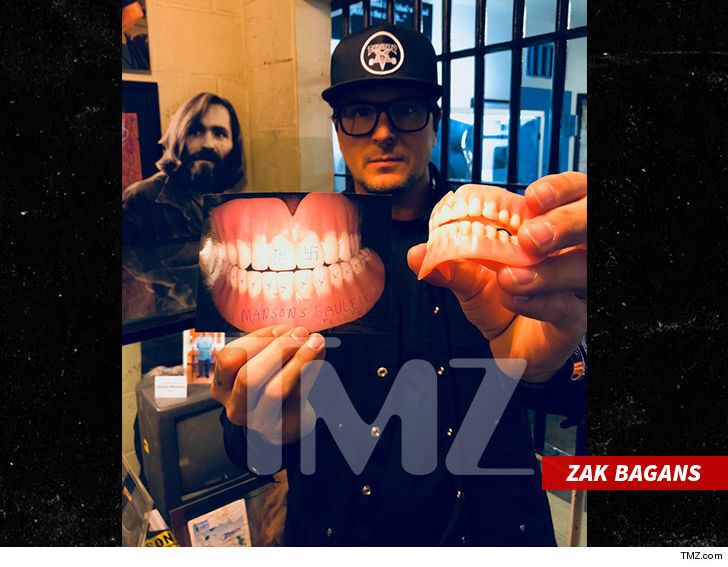 There's even a pic of the teeth signed by Manson, according to Zak who says the handwriting is a spot on match -- and the photo has a crazy backstory. Zak says the teeth were stolen from the shower by an inmate in 2010, and when the guy got out ... he sent them to Manson's pal. That friend teased Manson by sending him a photo of the teeth, and Manson wrote back to him begging him to return them. He didn't. Manson's letter, as well as his pentagram necklace -- made from toilet paper and underwear -- and other arts and crafts he made while in Corcoran State Prison ... are all part of Zak's loot. They'll all be added to the Manson exhibit inside Zak's infamous museum.